It's them boys from the 313! 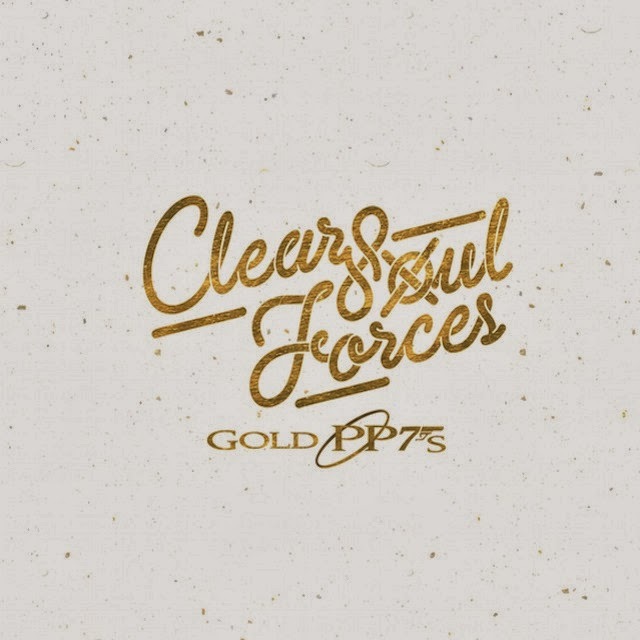 Making their way back again on BITM is the underground rap Super group, Clear Soul Forces. Ilajide, E-Fav, Noveliss and L.A.Z. have released their second LP Gold PP7's. The Detroit rap group has accumulated a large amount of success in the hip-hop world as "Detroit's best kept secret," well they are making it hard to stay hidden with their recent release. With their first album Detroit Revolution(s) being deemed as a Classic in the Hip-Hop world they had their name cut out for them for their sophomore release. Though this is their sophomore release, they consider themselves beyond any XXL Top 10 freshmen list to gain listeners/fans. They believe their music will reach people without the common conception of "selling out." If you have ever listened to CSF you would know or at least recall that they favor comic books and video games (hence the title, which derives from 007's Goldeneye for Nintendo 64). This album is laced with references from Marvel, Capcom, Final Fantasy, Kill Bill and a slue of other super hero/anime/Kung-fu titles. This is basically nerd rap. A few hip-hop listeners won't get the comical innuendo's that these MC's frequently slide in. As for production, Ilajide does roughly 80% of all the tracks as you can tell with his 90's infused jazzy touch to CSF's tracks. CSF is comfortable with who they are as artists. They don't step out of who they are (so far) and they just rap. Each of them individually has a skill that has been honed in on, but together (as suggested by fellow Detroit rapper Royce Da 5'9) they form Hip-Hop's Voltron. While forming the super robot these video game playing, rapping, heroes are taking shots at commercial rap and the social norms like "turning up" and "popping molly." Clear Soul Forces are not the ones for many features, given that they focus on getting themselves to rap on the track first, but do have a couple cameos on this LP. Fellow rap group, Kooley High, makes an appearance on a track called "Freq Freq," which is actually one of the best tracks on album. The other feature comes from Idris Elba. Yes, that Idris Elba. When the track was first released, no one knew what to expect from the British Actor on a track with a rap group of this caliber but he actually held his own and is a very solid track. This is a great second album coming from the Motor City rap group. Personally, I like Gold PP7's more than Detroit Revolution(s). I don't know if it is because I can appreciate the superhero/anime/Kung-fu lines more than the average person as it brings me to younger memories that allows me to relate more, or if this is naturally the better project. Regardless, this is a definite cop.